You may feel very frustrated when your valuable data from SD card is deleted accidentally or lost when SD card get formatted or corrupted. 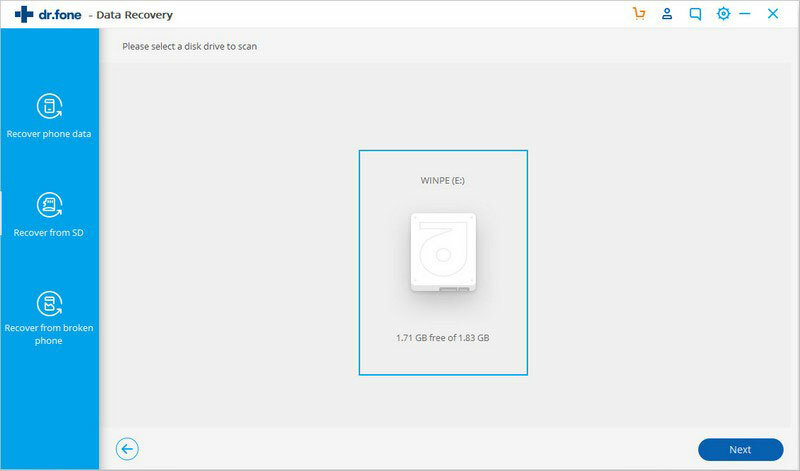 Fortunately, with the help of iSkysoft Toolbox-Recover, you can get back the deleted or lost files from SD card easily as you wish. Launch the iSkysoft Toolbox software on your computer and use a card reader or Android phone to connect your SD card to computer. Next, please tap on “Recover” on the application homepage. Select the “ Recover from SD card” when the program goes to the next screen as displayed below. When your SD card is connected successfully, a window as shown below will appear. Next, click on “Next” button from the window. In this step, the iSkysoft Toolbox provides you with three options to scan the SD card at the screen below. Here we suggest you select the “Scan for deleted files” option for only scanning the already deleted data. If your data can’t be found in this way, you can try other two scan modes later on. Next, we hit on “Next” button on the screen. Following the last step, the application will begin to scan the SD card on Android and will show deleted files on your memory SD card in different categories after the scanning completes. 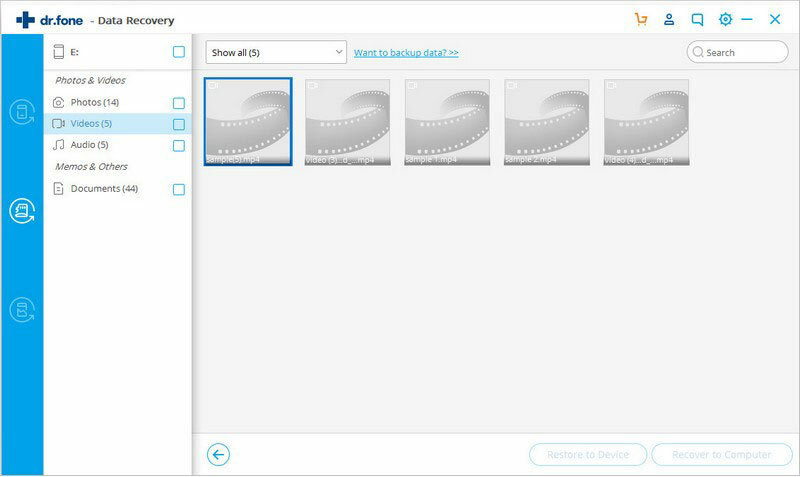 Finally, you can get back your deleted data from SD card and preview them conveniently. After select what you want to recover, please tap on “Recover” button and export them to the computer or other devices.